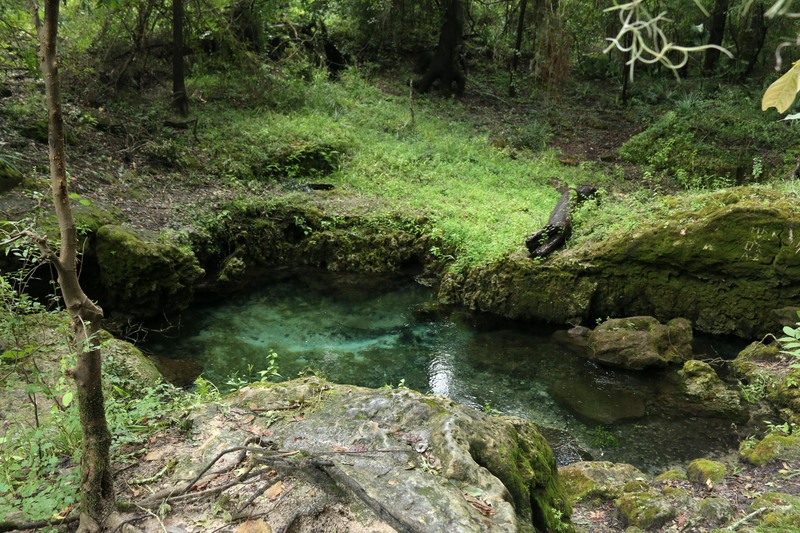 The Suwannee River is known for the many springs, both large and small, that flow into its waters. One of my favorite things to do is boat up and down the banks, searching for both the named and unnamed springs. Pictured here is one such small one. See other One World, Two Feet posts here!